Miss Berry thanks Mr. Howells for his gift to the Berry Schools during its anniversary. His donation was recieved right after the burning of the boys dormitory. 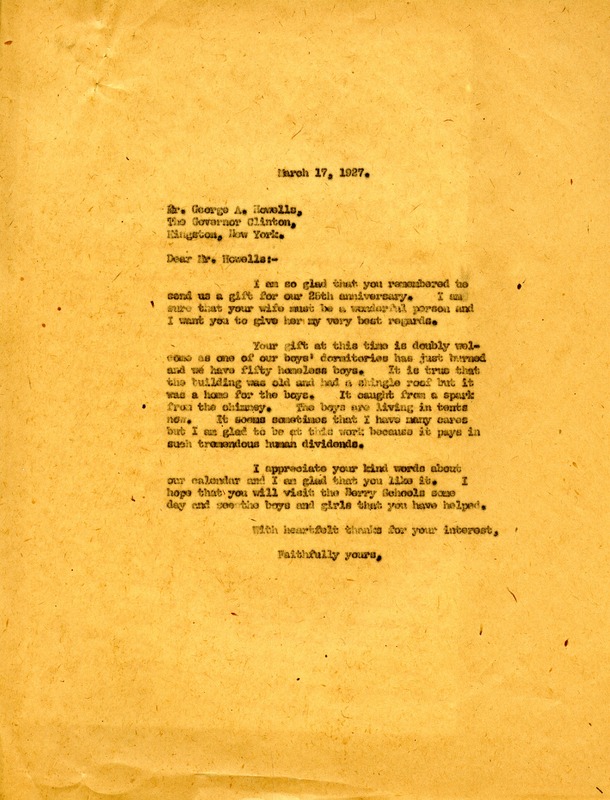 Miss Martha Berry, “A letter from Miss Berry to Mr. Howells.” Martha Berry Digital Archive. Eds. Schlitz, Stephanie A., Amanda Guidi, et al. Mount Berry: Berry College, 2012. accessed April 20, 2019, https://mbda.berry.edu/items/show/4579.